You want the best Kiss tour guide and information for the End of the Road tour. We have full Kiss concert details including End of the Road tour setlist, dates, VIP packages, merchandise, live videos and more. For the best Kiss tickets, we offer official and direct links to both Ticketmaster and SeatGeek. Follow us on Twitter for up to the minute concert news and information! 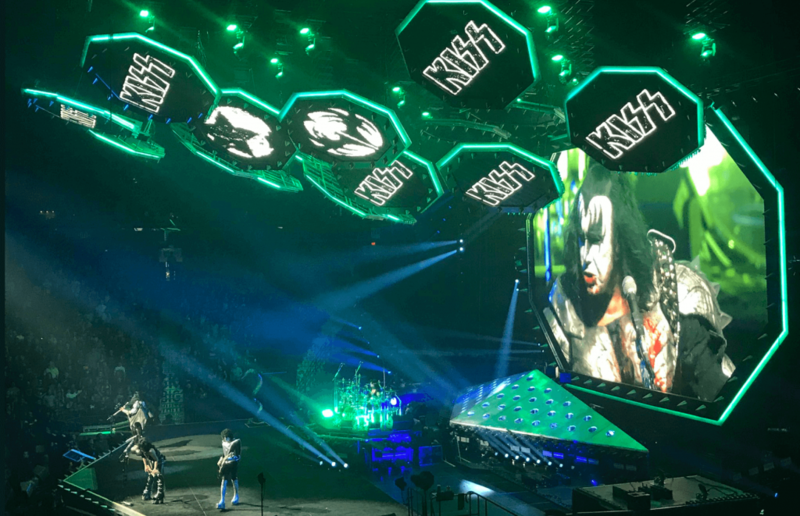 February 1st: Kiss began their End of the Road tour last night in Vancouver! We have the setlist listed below + live videos and pictures too. November 26th: After selling more than 500,000 tickets in the initial run, Kiss have announced part 2 of their End of the Road tour! Grab the new dates below. October 29th: Kiss has announced the full End of the Road tour dates. Tickets go on early presale starting tomorrow and general sale this Friday. September 24th: During a performance on America’s Got Talent last week, Kiss unveiled the End of the Road world tour. Follow us for updates as soon as dates and details are released! For now, the only thing known is that Kiss fan club members will get early access to tickets. From what we know about other fan club presales, each member will receive a unique voucher code to claim tickets. This means if you aren’t a member, you can’t get tickets. There may be other Kiss presale codes and methods but we can’t say for sure until details are released. If you want to join the Kiss fan club, you can sign up on their official website. Kiss (often stylized as KISS) is an American rock band formed in New York City in January 1973 by Paul Stanley, Gene Simmons, Peter Criss, and Ace Frehley. Well known for its members' face paint and stage outfits, the group rose to prominence in the mid-to-late 1970s with their elaborate live performances, which featured fire breathing, blood-spitting, smoking guitars, shooting rockets, levitating drum kits, and pyrotechnics. The band has gone through several lineup changes, with Stanley and Simmons the only remaining original members. riss and Frehley have both since left the band again and have been replaced by Singer and Tommy Thayer, respectively. 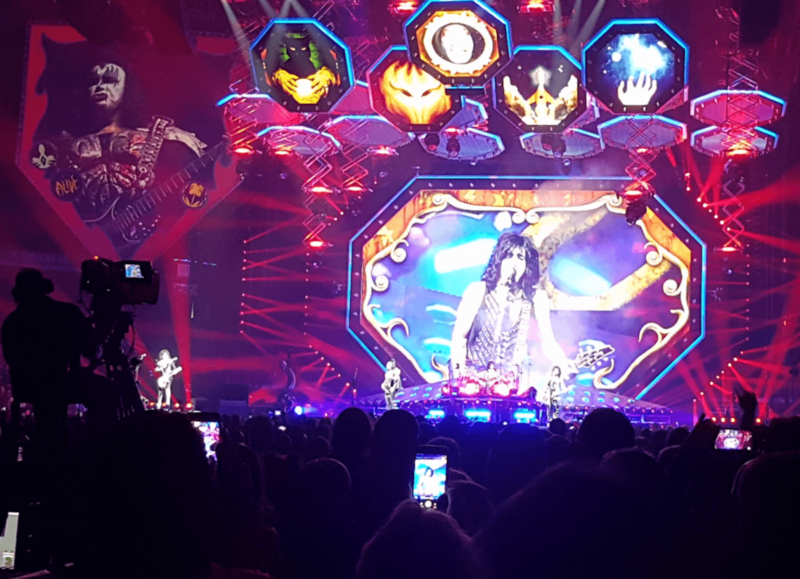 The band has continued with their original stage makeup, with Singer and Thayer using the original Catman and Space Ace makeup, respectively. 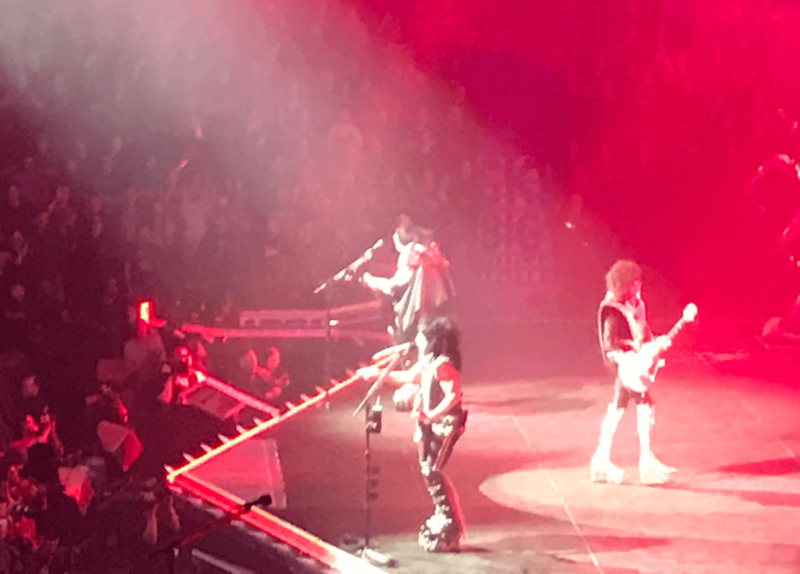 In September 2018, Kiss announced that, after 45 years of recording and performing, they will embark on their final tour in 2019. Kiss is one of the best-selling bands of all time, having sold more than 100 million records worldwide, including 25 million RIAA-certified albums. On April 10, 2014, Kiss was inducted into the Rock and Roll Hall of Fame. Current Kiss tour dates and locations are listed below! 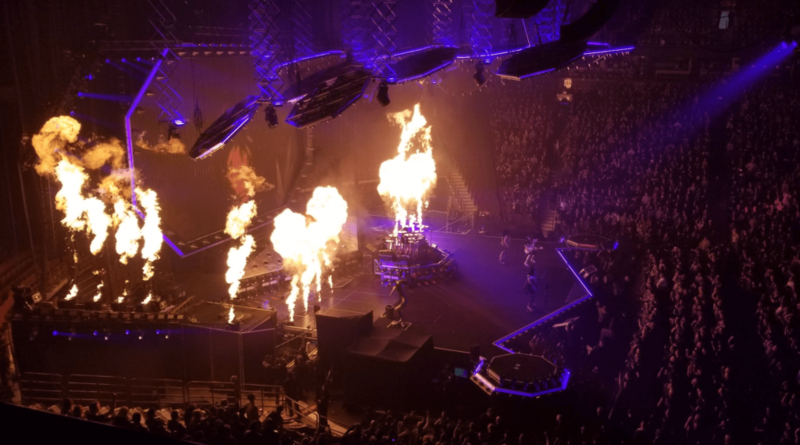 Underneath the tour dates, check out the Kiss setlist and concert videos, photos, and media. All Kiss ticket links offered on our site, both official through Ticketmaster and resale through SeatGeek are 100% guaranteed and legitimate. Guarantee your spot for this concert today. Click here to puchase Kiss tour tickets directly through Ticketmaster.com. 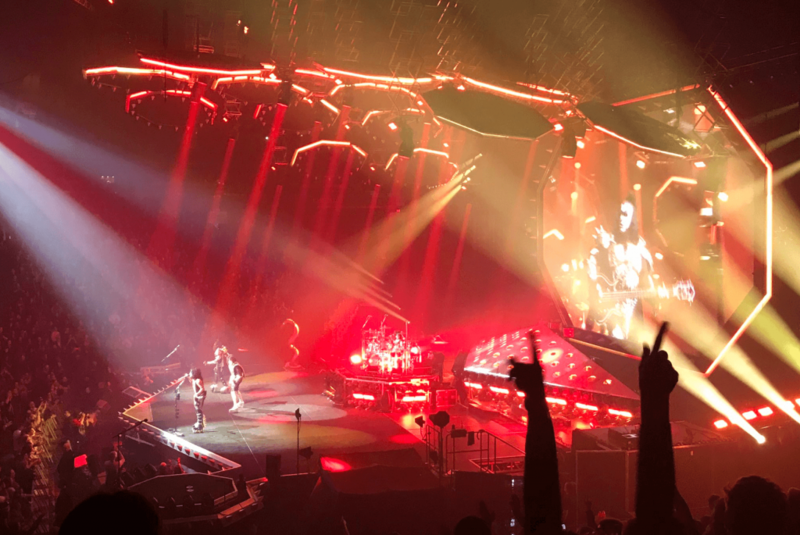 Take a look at the latest tour news or Tickets section for great information on the Kiss tour. Grab a presale code below and then click here to view the Kiss Ticketmaster page to buy tickets. Kiss tour tickets are freely available! Check out our tour dates section for links to purchase tickets! We have no Kiss tour VIP or special packages information for this tour yet! Get in touch with us on social media or comment below if you have more information. Click here to puchase Kiss merch for the upcoming tour through Redbubble, the top source for artist apparel and merchandise. Redbubble is a platform where artists can sell their creations to fans. They contain millions of designs that can be printed on apparel, phone cases, wall art, home decor, stationary, bags, and other products. If you choose to buy any Kiss apparel, Redbubble compensates us and you help keep Stadium Help going. Have a look at what is available via the link above. Did we miss anything in our Kiss tour guide? Make sure to come back and view the updated Kiss setlist for the End of the Road tour if it has not begun let. Comment below if you have any further information to share! Discuss the Kiss End of the Road tour below! last night in Jax FL 04/12/2019 was an awesome blast from the past. old guys still rock, go see this super impressive show.